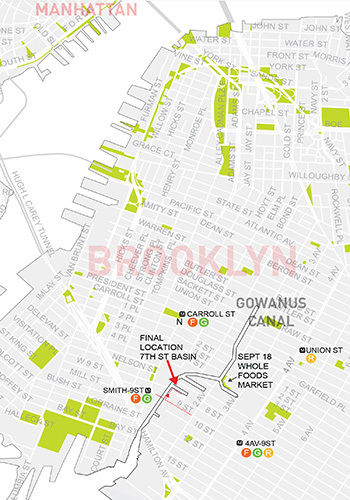 The Gowanus Canal in Brooklyn, New York, is one of the most heavily polluted waterways in the United States. 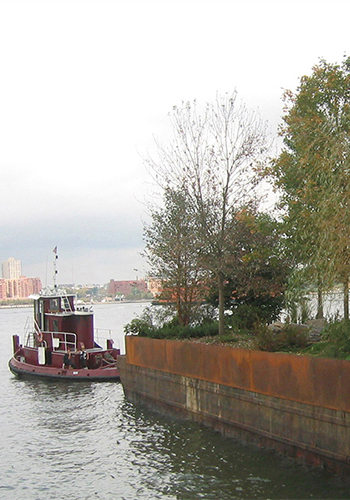 The 1.8 mile long, 100-foot wide canal, which is a SuperFund site, has historically been home to many industries that contaminated it with heavy metals, pesticides, and sewage from combined sewer overflows. 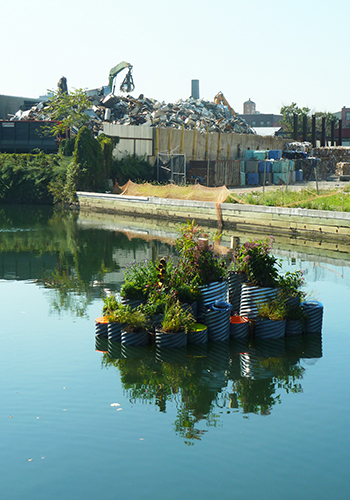 While efforts are underway to clean up the industrial sites surrounding the canal, a new experimental project, GrowOnUs, by the New York-based landscape and urban design firm, Balmori Associates, uses a floating landscape to decontaminate the canal’s water. It was launched last week behind the Gowanus Whole Foods, adjacent to the Third Street Bridge, and will eventually move to a final location near the 7th Street Basin. 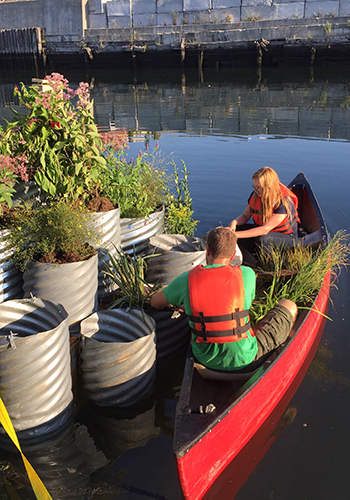 GrowOnUs transforms metal culvert pipes, once used to bring polluted runoff and sewage waste to the canal, into 54 floating “test tube” planters that will clean the water through phytoremediation, a process that features cleansing plants; desalination; and rainwater collection. Each of the planters will be irrigated from one of three different types of water, according to Jessica Roberts, a designer at Balmori Associates. “Some of the planters collect rainwater in reservoirs made from recycled plastic bottles, some use canal water distilled from solar stills that allow condensation to collect,” she said. Buoyant construction material, such as bamboo, coconut fiber, and recycled plastic, allows the planters to float. Designed by the firm’s experimental branch, BAL/LAB, the prototype draws on a year of experimentation with different plants and water types that not only have the potential to decontaminate the water in the canal, but can also adapt to rising sea levels and storm surge events. While the current prototype does not include public space, Roberts noted that people have been able to interact with the floating landscape. At the launch event, “fifth grade students from the Brooklyn New School participated in a series of demonstrations explaining how the island functions. It has also been fun for us to see a few people canoeing and kayaking by it. 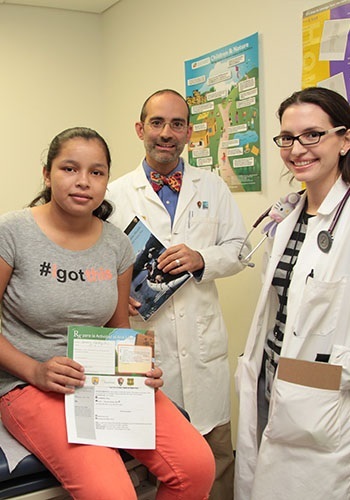 It could become such an active place,” she said. Not only does sprawl increase the distance between people’s homes and jobs, a new study by the Global Commission on the Economy and Climate found that it also costs the American economy more than $1 trillion annually. These costs include increased spending on infrastructure, public services, and vehicles. The most sprawled-out American cities spend an average of $750 on infrastructure per person each year, while the least sprawled cities spend closer to $500. Compared with smart growth communities, which are denser, walkable developments, sprawl typically increases per capita land consumption 60-80 percent and motor vehicle travel by 20-60 percent. The study found that sprawl also affects about two-thirds of city expenses, “by requiring longer road and utility lines, and increasing travel distances needed for policing, emergency response, and garbage collection.” Some of the largest costs are associated with city government vehicle travel. 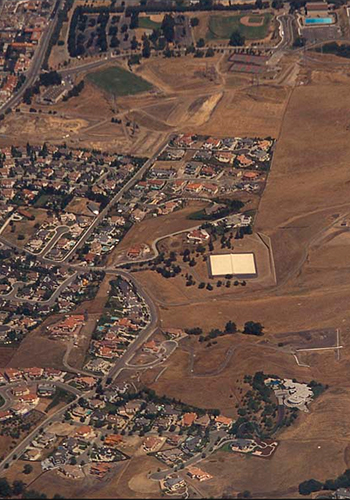 According to the study, much of Americans’ preference for sprawl is rooted in underlying social and economic factors — “such as the perceived safety, affordability, public school quality, prestige and financial security of suburban neighborhoods” — rather than the physical features of sprawl. The 2013 U.S. National Association of Realtors’ community preference survey found that most Americans prefer single-family homes and place a high value on privacy. However, interestingly, they also desire the convenience of walkable, mixed-use communities with shorter commutes and convenient access to public services found in cities. As the U.S. continues to grow and urbanize, cities will have to expand to accommodate new people but also reconcile these conflicting desires. Unconstrained cities, such as most American and African cities are surrounded by “an abundant supply of lower-value lands” and have room for significant expansion. According to the study, these cities should maintain strong downtowns surrounded by higher-density neighborhoods with diverse, affordable housing options. Excessive vehicle use should be discouraged by creating streets that include adequate sidewalks and crosswalks, bike infrastructure, and bus systems. Semi-constrained cities, mostly found in Europe and Asia, have a limited ability to expand. These cities should expand through a combination of infill development and modest expansion along major transportation corridors. New housing should consist of townhouses and mid-rise multi-family housing, which can reduce the costs of sprawl. Similar transportation policies to those suggested for unconstrained cities, which can help further discourage car use, should also be implemented in semi-constrained cities. 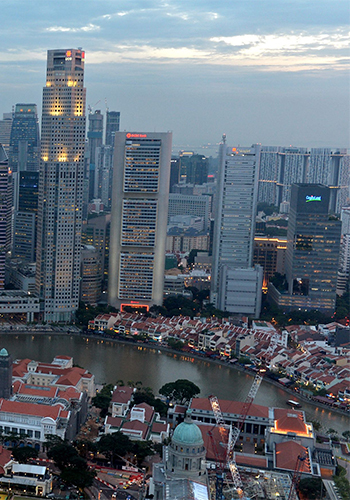 Constrained cities are those that cannot significantly expand, such as city-states like Singapore and Hong Kong. In these cities, most new housing will be multi-family, and fewer households will own cars. These cities require strong policies that improve livability in dense neighborhoods, including: “well-designed streets that accommodate diverse activities; adequate public green space; building designs that maximize fresh air, privacy, and private outdoor space; transport policies that favor space-efficient modes; and restrictions on motor vehicle ownership and use, particularly internal combustion vehicles.” Seoul has already demonstrated that with good planning, high density neighborhoods can offer a good quality of life. Developing cities in Asia and Africa are poised to establish more sustainable transport and land use development patterns, avoiding the mistakes made by the U.S. Although sprawl-related costs may appear to lower in developing countries — due to lower incomes and land prices — their share of household and government budgets, and their relative impacts on economic development, are greater. Emerging cities must implement policy reforms that result in better walking and cycling conditions. Improving public transit services in developing country cities is particularly important. The study maintains that in order “to increase economic productivity, improve public health, and protect the environment,” dense, urban neighborhoods need to be considered just as safe, convenient, and attractive as their suburban counterparts. 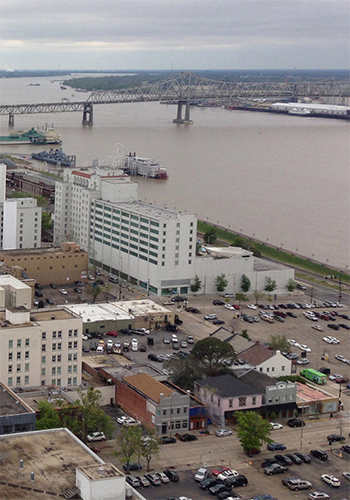 In all types of cities, ensuring that neighborhoods are livable and cohesive is crucial. Designing attractive, multi-functional streets and public parks and providing high-quality public services are all major components of reaching this goal. Each of these zones will have specific “places” related to the interests of each group of residents. 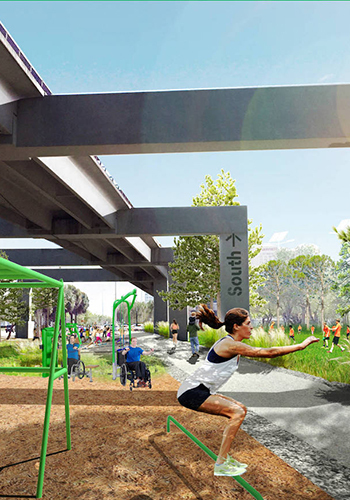 For example, underserved communities in Dadeland that don’t have access to parks for active recreation will get playing fields, playgrounds, and exercise areas within their zone of the Underline. 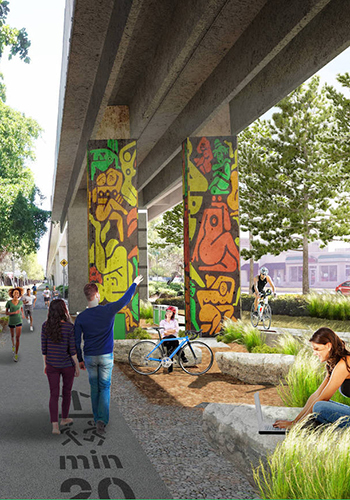 The Underline will also connect these different communities by making improvements that will attract them to the MPath, an off-road shared path for bikers and pedestrians that currently runs beneath the rail line. According to Isabel Castilla, a project manager at Field Operations, the new design plan calls for two adjacent paths: one dedicated for cycling and one for running and walking. The plan aims to increase pedestrian and bicyclist safety along the MPath as well. According to Friends of the Underline, one of the biggest concerns when pursuing the project was user safety. “Currently the MPath, the bike path underneath MetroRail, has limited lighting or amenities, and needs wider and safer crosswalks. All of these, and other safety issues, are being addressed,” their website says. Throughout the space, which will create more that one hundred acres of open space and restored natural habitats, existing vegetation will be used where possible. Elsewhere, Field Operations plans to use historically-occurring plants that will decrease the need for maintenance and minimize water usage, as the firm did on the High Line. “We envision a lot of native plantings that will only grow in a robust way and will bring other species with them, like birds and butterflies,” James Corner said in a video interview. 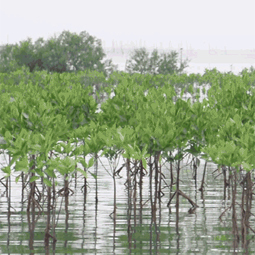 These plantings will be divided into different ecosystems found throughout South Florida, such as pine rocklands, hardwood hammocks, and wet prairies. 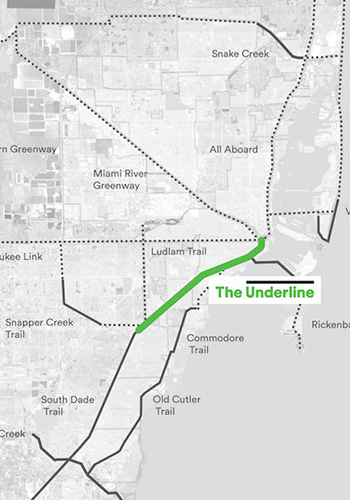 As part of a commitment to provide “a 10-mile canvas for artistic expression,” Friends of the Underline plans to allow public art on the existing MetroRail infrastructure. 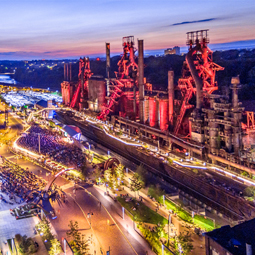 The project recently received a $200,000 grant from ArtPlace America’s 2015 national grant program, which will go toward public art installations created by recognized national and Miami-based artists. 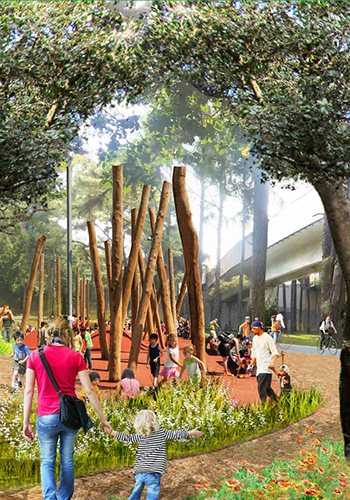 “The artwork along The Underline will reflect the unique characteristics of the major neighborhoods along the corridor,” said Meg Daly, founder of Friends of The Underline. The masterplan for the project will be completed later this month. 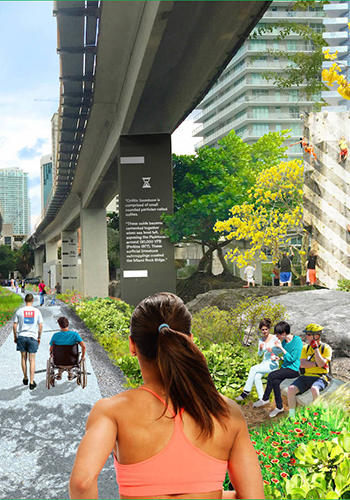 After approvals from various agencies, construction will begin on the two demonstration projects, first at Brickell in the fall of 2016 and then at University in 2017. 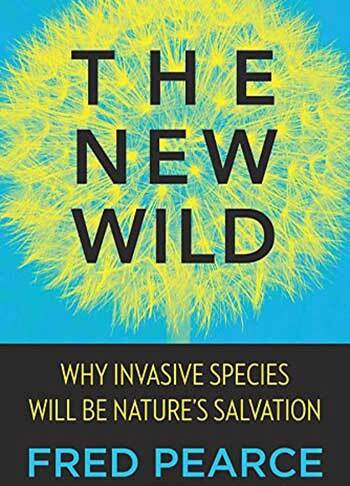 Conservationists are becoming enemies of nature, according to a new book The New Wild: Why Invasive Species Will Be Nature’s Salvation by environmental journalist Fred Pearce. Drawing primarily on examples from the United Kingdom and remote islands across the world, the book challenges the long-held belief that keeping out non-native species and returning ecosystems to a pre-human state are the only ways to save nature as we know it. Calling this line of thinking unproductive at best, Pearce states that seeking only to conserve and protect endangered and weak species becomes a brake on evolution, a douser of adaptation. “If we want to assist nature to regenerate, we need to promote change, rather than hold it back,” he writes. Though his criticism of traditional conservation perspectives that advocate for restoring ecosystems may appear controversial, Pearce isn’t pushing for an “anything goes” mentality, nor does he believe people should stop trying to save endangered species. Rather, he says it’s important to separate our emotional needs from the needs of the environment. “We have a legitimate need to curb excesses and a legitimate desire to protect what we like best. But we should be clear that when we do this, it is for ourselves and not for nature, whose needs are rather different.” With few, if any, pristine ecosystems left on earth, Pearce ultimately concludes we need to begin embracing a “new wild” that will be different from our old visions of the wild. This new kind of nature may include species that are foreign and unfamiliar, but it will be more resilient than ever before. Pearce then addresses the myths we have about conservation and alien species. He states that many conservationist’s attempts to “fix” nature have been almost comically unsuccessful. Billions of dollars have been spent trying to eliminate alien species, yet the failure rate for these project has been alarming. 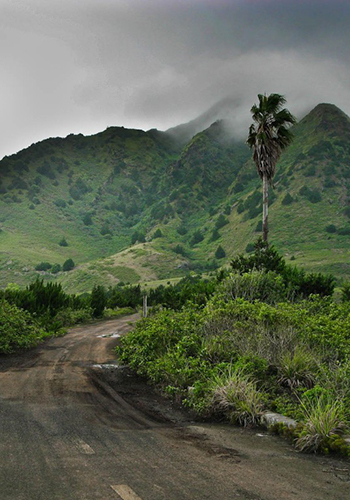 Of the 43 projects aimed at eradicating or controlling alien species in the Galapagos Islands – often considered the mecca for conservation research – only nine have been successful. Now the head of restoration at the Charles Darwin Research Station, Mark Gardener, has raised the white flag on eradicating aliens. “As scientists and conservationists, we need to recognize that we’ve failed. 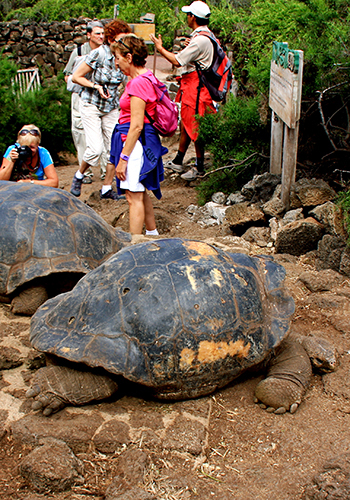 Galapagos will never be pristine,” he told Science magazine in 2011. If Galapagos, with its rich history of native species preservation, is moving in this direction, it is only a matter of time before other regions follow suit. This knowledge that environments we perceive as the most unnatural and the most developed are actually some of the most ecologically-rich has the potential to completely turn our picture of nature on its head. We may have to rethink landscapes we may have previously considered nature, such as “pesticide-soaked” agricultural fields. Though parts of the book are reminiscent of American journalist Emma Marris’ groundbreaking book the Rambunctious Garden: Saving Nature in a Post-Wild World, The New Wild benefits from Pearce’s unique voice and his extensive experience as an environmental journalist. Pearce presents each of his arguments in such a persuasive way that it often becomes hard to imagine conclusions more logical than those he has come to. 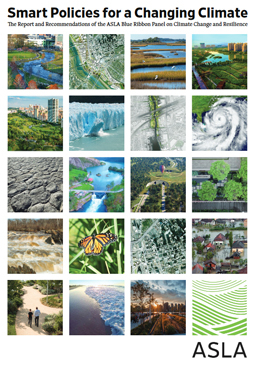 Though equally as readable and controversial as the Rambunctious Garden, The New Wild takes Marris’ arguments about creating hybrid ecosystems that combine wild nature and human management a step forward, offering concrete ways conservationists, restoration ecologists, and landscape architects can help the natural world adapt. How Can We Get Trees to the Communities That Need Them the Most? 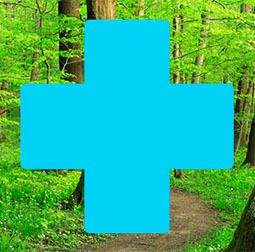 The science is increasingly clear: trees are central to healthy, livable cities. New studies are only adding to this understanding. For example, recent research published in the prestigious journal Nature found that having 10 more trees on your block, on average, improves the perception of your own health in ways comparable to an increase in annual income of $10,000 or being 7 years younger. However, according to Cene Ketcham, a graduate student in urban forestry at Virginia Tech, the benefits of urban trees are rarely experienced equally across a city. “We know trees have a lot of benefits. 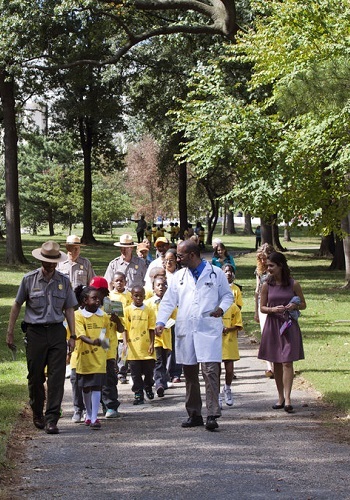 And if we know that having trees in our cities is important for our health, the converse must also be true — a lack of trees hurts your health,” Ketcham said at a conference organized by Casey Trees in Washington, D.C.
Ketcham noted that a lower tree canopy is often correlated with lower-income neighborhoods and communities of color – “areas that have historically been disproportionately impacted.” While non-profit and city-led tree planting programs are poised to bridge this gap, most are not designed with environmental justice goals in mind. The groups leading these urban tree-planting programs are increasingly aware of this problem, but what specific strategies are most effective for getting urban trees into the areas that need them the most? Ketcham studied 11 different programs in six cities: Austin, Texas; Charlotte, North Carolina; Denver, Colorado; Minneapolis, Minnesota; Portland, Oregon; and Sacramento, California. 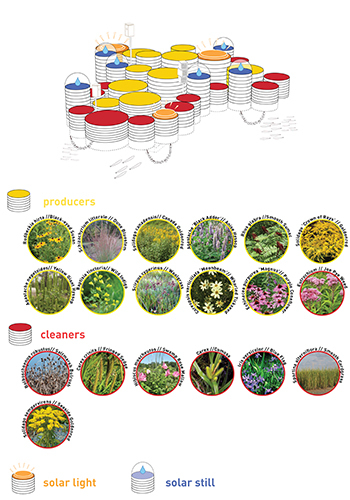 Each of these programs have a different planting plan that accounts for inequalities. In Charlotte, for example, race and income are tightly tied together, so improving tree cover in underserved neighborhoods did not require a city-wide effort to make an impact in these communities. “But, of course, the closer you get to planting trees all over an entire city, the better off you’ll be,” Ketcham added. 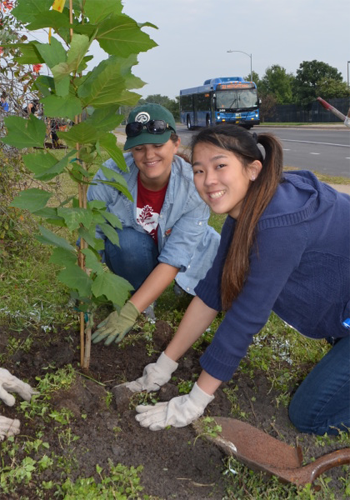 Successful tree planting programs use outreach efforts and highly targeted planting. 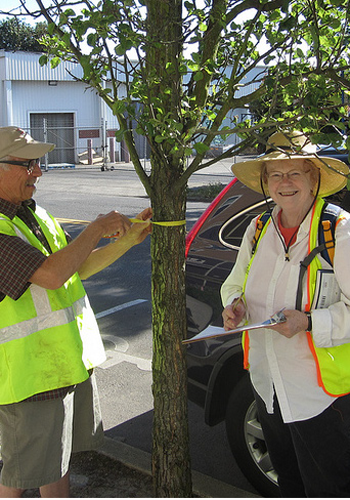 “Portland canvassers go door to door in low-income neighborhoods advertising the benefits of trees. A lot of effort goes toward getting trees in where people want them,” Ketcham said. Of course, city-wide tree cover is the goal, but in larger cities where trees are disproportionately benefiting some neighborhoods, targeted tree-planting efforts can go a long way. “It’s not just somebody some throwing labor in, it’s a tightly integrated collaboration,” Ketcham said. Programs that have been successful bring together public and private organizations. “Maybe the city buys the trees, while the non-profit runs the program.” In any case, it’s important that both groups take ownership of the tree-planting program. For example, Treefolk’s CityShade program in Austin works very closely with Austin’s urban forestry department. From October 2014 through March 2015, the program worked with the city to plant 350 large-container trees and mulch existing trees in seven parks and greenbelts in Austin. According to CityShade, the organization also planted native trees to beautify, and provide shade and wildlife habitat in some of Austin’s lowest-income neighborhoods. Particularly in low-income neighborhoods, it’s important to reduce the pressure on individual property owners to plant trees. Not only are people in these areas struggling to overcome challenges bigger than increasing the tree canopy, but residents in these areas are more likely to be renters. “If you’re in an area with a lot of renters you’re not going to want to work on improving your landlord’s property. And the landlord might not even want the trees if it will change the property value,” Ketcham said. Instead, successful programs rely on volunteers and contractors to plant the trees, rather than giving trees to neighborhood residents. 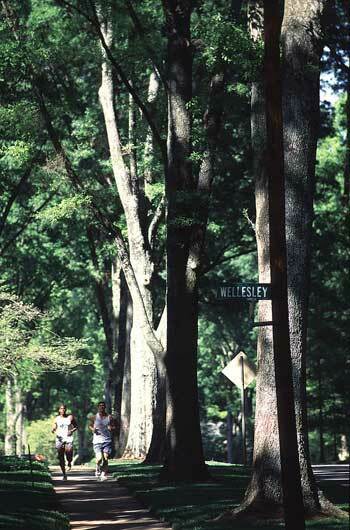 However, some successful programs do provide help and guidance to residents who want trees on their own properties. Friends of Trees in Portland makes it easy for someone to plant a tree at their home with this step-by-step video. While most programs focus on getting trees onto residential properties, successful programs work on “improving tree cover, not just in residential areas but also in public spaces.” Planting trees in public spaces can provide neighborhood-wide health and environmental benefits. For example, CityShade in Austin partnered with Austin’s watershed protection division and urban forestry department to plant thousands of small, native, tree seedlings in public areas in order to conserve water and improve water quality in Austin’s waterways. Though mainly focused on residential plantings, Charlotte’s NeighborWoods program will also help provide trees for homeowner association’s common areas when appropriate, so that everyone in the neighborhood can benefit from increased access to nature. ASLA recently surveyed practicing landscape architects, students, and university faculty from around the world to better under understand what smartphone apps landscapes architects are using to conceptualize, design, and construct projects. We recently reported the results from the survey, which received more than 150 responses, in the first two parts of this three part series. See ppart one: Smartphone Apps for Landscape Architects: Useful Tools for Site Analysis and Design and part two: Smartphone Apps for Landscape Architects: Useful Tools for Construction and Presentation. One thing is for certain: many landscape architects are looking for an app that will quickly identify a plant in any region in the world, and tell them where to put it. That’s not a small order, but we’ll see what the future holds. The next most-desired category of apps relate to topography and grading. 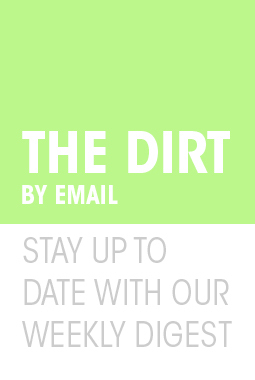 “I would be interested in an app that visualizes and makes available GIS data for soil type, site history, zoning, flood levels, etc., in a navigable interface. This would be used less for data manipulation and more for overviews on site visits,” one respondent said. Other respondents were especially interested in an app that could use GPS data to give topography and elevation data for a given landscape or build a topographical map based on the existing grade of a user’s location. Ideally, this app would also be able to export info to AutoCAD, RhinoTerrain, and GoogleEarth. “I would like an app that would allow you to create material palette collages that combine site furniture, planting, and paving and other materials for your project and be able to export the layers to Photoshop,” one respondent said. Some sort of collage app that would allow users to put together different images into a single palette and export for presentation was one of the more popular responses. Perhaps an app like PhotoGrid (free; ios / android) that allows users to design layouts and create photo collages would fill this gap. But a similar app specifically geared toward landscape architects with a variety of material and plant stock images (with an option for users to upload their own photos) would likely be more widely used. Several respondents were looking for a smartphone app that would provide them with American Disability Act (ADA) and construction standards on their mobile devices. 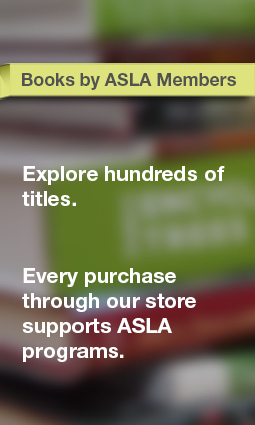 One respondent pointed to the book Time-Saver Standards for Landscape Architecture by Charles Harris, FASLA, and Nicholas Dines, FASLA, and said a “similar app version would be very helpful.” While many respondents said they typically find this information through search engines, others would prefer to have a reference guide on the go. One respondent suggested LandCalc (free; android), an app that can calculate and convert soil, mulch and stone volumes, as well as calculate slope and the amount of plant material needed for a given space. While this may be helpful for some landscape architects, an app that goes a little bit further as a mobile reference for construction standards would help. Lastly, a small but significant number of respondents are reluctant to jump on the smartphone bandwagon. “Apparently people are using apps,” one respondent wrote in. Several others reported that they don’t yet have a smartphone. While owning a smartphone is by no means necessary for practicing landscape architecture, our survey indicates that the wide range of smartphone apps available for landscape architects is already changing the way they design and build. In order to better understand what smartphone apps landscape architects use to conceptualize, design, and construct projects, ASLA recently surveyed practicing landscape architects, students, and university faculty from around the world and received more than 150 responses. In part two of this three part series, we continue to summarize the results of the survey, focusing on useful apps for constructing landscapes and presenting design ideas to colleagues and clients. What Apps Do You Use When Constructing a Project? Nearly 50 percent of respondents use a smartphone app during the construction process for all or most projects, while 40 percent of respondents said they never or rarely use an app for this phase of a landscape project. 67 percent said they discovered the app on their own, while 18 percent said their firm encouraged them to use it. 7 percent were encourage to use it by a construction or engineering firm and others were informed about these apps through web searches. 1. AutoCAD 360 (free; ios / android): AutoCAD 360 is a drawing and drafting app that allows you to view, edit, and share AutoCAD drawings. You can upload and open 2D and 3D DWG drawings from email and view all aspects of the file during the construction process. You can also draw and edit shapes, as well as move, rotate, and scale objects just as you would in the desktop version of AutoCAD. 2. Newforma Plans (free ios): Newformas Plans is an app that eliminates the need to carry paper plans around a jobsite. This app allows you to upload current project plans to the NewForma desktop platform and access them automatically through your iPad. You can then view, markup, and email documents while in the field. PlanGrid (free; ios / android): PlanGrid is a construction app that allows users to upload PDF drawings to plangrid.com and then sync to their smartphones and tablets. Users can then markup and annotate drawings from the field, as well as take progress photos and pin them to the construction documents. Any markups and annotations made in the app can be shared with everyone who has access to the documents. Bluebeam Revu ($9.99 ios): Bluebeam Revu is another app that lets you access and markup PDFs on the go. The app allows you to add comments, images, symbols, and multimedia as markups that can be saved as custom markups for future reuse. In addition to these markup features, the app has a feature that allows you to verify length, area, perimeter, and other measurements in a blueprint. Using a cloud-based platform, Revu also allows you to collaborate with colleagues in real time on the same document. Theodolite ($3.99 ios): Theodolite is a viewfinding app that uses your smartphone’s camera, compass, and GPS to create geo-tagged photos, screenshots, and movies with one app. Not only can you stamp geographical data and notes directly onto photos and movies for later reference but you can also view your location on a map and share your position with your team through a “team tracking” feature. What Apps Do You Use When Presenting a Project? Some 52 percent of respondents said they use a smartphone app for presenting all or most projects, while 28 percent of respondents said they never or rarely do. 66 percent said they discovered the app on their own, while 22 percent said their firm encouraged them to use it. 1. Dropbox (free; ios / android): The Dropbox app allows you to store your photos, documents, videos, and other files to the cloud or send large files that might not send via email directly to others. With this app, you can create and edit Microsoft Office documents from your smartphone or tablet, or even back up photos and videos to the cloud automatically. 2. Keynote ($9.99 ios): Keynote allows users to create presentations with animated charts and transitions on their iPod or iPad. Presentations can be built from 30 Apple-designed themes and slide layouts, animations, fonts, and style options to make presentations more dynamic. 3. Adobe Acrobat Reader (free; ios): Adobe Acrobat Reader is the smartphone version of the popular desktop application, with many of the same features. The app allows you to quickly open PDF documents from email or the web and make comments on PDFs using sticky notes and drawing tools. You can also quickly fill out forms by typing text into fillable field or e-sign documents with your finger. 4. Microsoft PowerPoint (free; ios / android): The Microsoft PowerPoint app has the familiar look and feel of the desktop version of PowerPoint and allows you to create, view, and edit presentations from your smartphone or tablet. When you edit a presentation on an app, the content and formatting remain the same across all of your devices and you can work with other simultaneously on the same presentation from different platforms. uPad 3 ($5.99 ios): uPad turns your smartphone or tablet into a handwritten note-taking device. The app will only recognize a special touch pen, eliminating the chance that your hand or fingers will interfere with writing. uPad allows you to annotate PDF files and presentations quickly and easily and share annotated documents with any application that can read an image of PDF. iAnnotate ($9.99 ios; free android): The iAnnotate app is a popular app for reading, marking up, and sharing PDFs, Word Documents, PowerPoint Documents, and image files. Users can choose from a variety of tools to annotate documents such as a pen, highlighter, typewriters, stamp, and many more. Users can also add, delete, and rearrange pages in documents, then compress annotations to prevent modification. 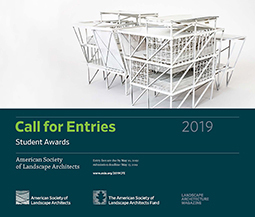 In order to better understand what smartphone apps landscape architects use to conceptualize, design, and construct projects, ASLA recently surveyed practicing landscape architects, students, and university faculty from around the world. In this three-part series, we summarize the results of the survey, which yielded more than 150 responses over two weeks. Our goal is to let landscape architects know about all the useful apps they might not be aware of, and how these tools can be incorporated into increasingly multimedia design processes. 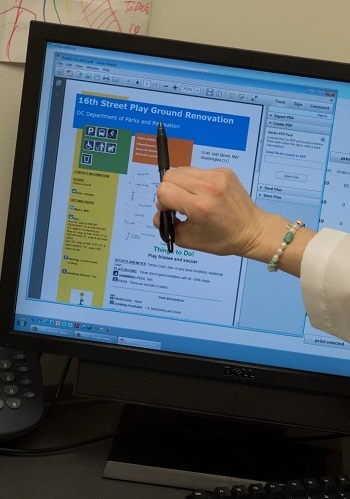 Some 64 percent of survey respondents are registered landscape architects. 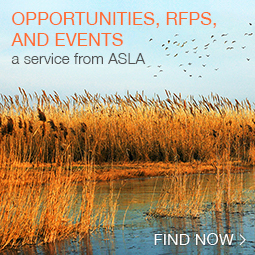 And 78 percent are ASLA members, of which 15 percent are associate and student members and 8 percent are fellows. The survey assessed smartphone app use during multiple phases areas of the design process: site analysis, conceptualization and design, design reference, plant identification and selection, construction, and presentation. Respondents were asked which app they use most during each of these phases, how frequently they use that app, and who recommended it to them. What App Do You Use When Analyzing a Site? 76 percent of respondents used a smartphone app to analyze a site for all or most projects, while 15 percent of respondents have never used an app when conducting site analysis. 75 percent said they discovered the app on their own, while 15 percent said their firm encouraged them to use it. Others were informed about these apps through their university or by co-workers. 1. Google Earth (free; ios / android): By far, the most popular app used for site analysis. The newest version of the Google Earth app allows users to search for exact locations as well as turn on and off layers that include streets names, borders, and photography. 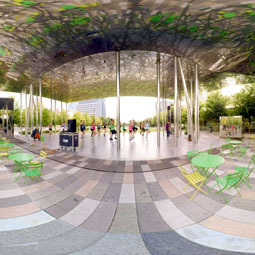 Through the 3-D street view option, users can get a real sense of what places are like on the ground. 2. Camera (free; ios /android): Built into all smartphones, the camera app is extremely popular for documenting sites. The iPhone camera has 8 megapixels, exposure controls, and panorama options. It also can shoot HD, slo-mo, and time-lapse video. The android camera offers similar features. 3. GPS Essentials (free; android): The GPS essentials app allows users to navigate maps, trace tracks, and manage waypoints. For any given area, the app show navigation values such as latitude, longitude, altitude, and sun and moon data. Routes, tracks, and waypoints drawn in the app can be exported to Google Earth and Google Maps. 4. Sunseeker ($9.99 ios; $7.49 android): Sunseeker uses GPS and magnetometer data to show the sun’s path at a given location on both a flat compass view and as a realistic camera view. The app, which shows the sun’s location in hour intervals, its winter and summer solstice path, as well as rise and set times, can give users a feel for the change in solar angle throughout the year and how it will impact a site. Clinometer ($1.99 ios; free android): Clinometer allows users to calculate the angle of a slope using a smartphone camera. The app can display the slope in degrees, percentage, or rise over run. It can also be used as a level for simple tasks like aligning a frame or a presentation board. My Tracks (free; ios / android): My Tracks turns your phone into a GPS logger by recording your path, speed, distance, and elevation on a map while you walk, run, or bike outdoors. The GPS tracks are stored on your phone and can be exported to Google Maps, Google Earth, or as vector linework. Planimeter ($7.99 ios; $3.99 android): Planimeter is another GPS tracking tool that measures land area and distance on a map, as well as perimeter, and GPS coordinates. Not only can you quickly measure lawns, lot sizes, buildings, and paving from a satellite map, you can also measure a specific area by walking or driving around it. What App Do You Use When Conceptualizing and Designing a Project? Some 44 percent of respondents used a smartphone app when conceptualizing and designing all or most projects, whereas 27 percent of respondents never use an app when working through this stage of a landscape project. Some 70 percent said they discovered the app on their own, while 14 percent said their firm encouraged them to use it. 1. Paper by FiftyThree (free; ios): Paper is a digital notebook app that allows you to quickly sketch, write, draw, outline, and color on a clean interface that mimics real paper. It also includes tools that allow users to quickly create charts and diagrams for quick note-taking. Special pencils and styluses can be purchased to make drawing and note-taking easier on an iPad. 2. Pinterest (free; ios / android): Pinterest is a visual bookmarking tool that allows users to find and save photos and ideas through their social networks. Users can upload, save, and share images and videos – known as Pins – from people in their social networks or they can save content found online to their Pinterest boards using the “Pin it” feature. 3. Houzz (free; ios / android): Houzz, called the “Wikipedia of interior and exterior design” by CNN, features a database of home design ideas that are extremely useful for residential designers. Users can browse photos by style and location and save them to a “virtual ideabook” for reference. Images can also be saved for offline viewing or shared with others through the app. 4. Sketchup Mobile Viewer ($9.99 ios ; $9.99 android): The Sketchup Mobile Viewer allows users to open and view their Sketchup models on their mobile devices. Sketchup models can be downloaded from 3D Warehouse, Dropbox, or email and can be viewed from a variety of angles and with any of Sketchup’s face styles. Autodesk Sketchbook / Sketchbook Pro ($3.99 ios / $4.35 android): Autodesk Sketchbook is an intuitive drawing app that offers more than 100-plus preset brushes, pencils, pens, and brushes. It’s designed for people of all skill levels and allows users to create everything from small doodles to detailed digital artwork. Painting layers can be controlled with different blending modes, allowing users to create artwork as they would in Adobe Photoshop, Adobe Illustrator, or in real life. Morpholio Trace (free; ios): Morpholio Trace allows uses to quickly draw on top of imported images, drawings, and photos to comment on plans, progress images, or other drawings. Users can choose from a variety of trace papers such as yellow trace, vellum, or blueprint and use a variety of pens will different line types, colors, and sizes. Just as in real life, layers of digital trace can be added on top of each to build on ideas. What App Do You Use for Design Reference (grading standards, color palettes, project photos, etc.)? Some 47 percent of respondents said they used a smartphone app as a design reference tool for every or most projects, whereas 28 percent of respondents have never done so. 72 percent said they discovered the app on their own, while 15 percent said their firm encouraged them to use it. The majority of respondents said they used search engine apps, Houzz and Pinterest (as discussed above). Many landscape architects identified a need for better design reference apps. 1. Adobe Color CC (free; ios / android): Adobe Color CC allows users to create color themes that can be transferred to Adobe Illustrator, InDesign, and Photoshop. The app allows users to use their screen as a viewfinder and will extract colors from camera views or photos. An interactive color wheel and color slides allow users to adjust individual colors or use pre-set selections based on color theory. 2. Palettes / Palettes Pro (free or $3.99; ios): Palettes is another color palette tool designers can use for creating color schemes. Users can grab color from a photograph, website, or select a color using a variety of color models. Compared to Adobe Color CC, Palettes offers more colors per palette (up to 25) as well as a feature that allows you to display a color full screen to compare against a real world item. 3. Synthesis Mobile (free; ios / android): Synthesis Mobile aggregates information about a user’s firm and allows him or her to stay connected with news, updates, and ideas across the company – essentially it’s a social network and employee directory for firms. Users can compose and comment on posts, as well as share photos and links firm-wide through the app. The app also keeps track of employees, projects, and future opportunities. What App Do You Use for Identifying / Selecting Plants? 32 percent of respondents used a smart phone app to select or identify plants for every or most projects, whereas 41 percent of respondents said they rarely or never used an app for this. 72 percent said they discovered the plant identification app on their own, while 9 percent said their firm encouraged them to use it. Many respondents said they primarily use search engines or books, or that they don’t need reference materials for plants. Some identified a need for more accurate, user-friendly plant identification apps. 1. Dirr’s Tree and Shrub Finder ($14.99, ios): Dirr’s Tree and Shrub finder is a searchable plant database that allows users to search for plants by 72 criteria including hardiness zones, water and light requirements, growth characteristics, and flowers, among many others. The app covers 1,670 species and 7,800 cultivates with more than 7,600 plant images, as well as 1,120 botanical illustrations. Plants in the app can be sorted by common and scientific name. 2. Leaf Snap (free; ios): Leaf Snap was developed by researchers from Columbia University, the University of Maryland, and the Smithsonian Institution. The app uses visual recognition software to help identify trees species in the Northeastern United States and Canada from photographs of their leaves. It contains many high resolution images of trees, leaves, flowers, and bark to help with identification. 3. PlantAPP for PlantANT (free; ios / android): PlantAPP is an app associated with PlantANT – a website that provides a free wholesale plant and nursery directory that users can search by price, distance, size etc. With the app, users can search plant vendors and listings from their phone, while plant suppliers can upload pictures of their inventory through the app. Virginia Tech Tree ID (free; android): Virginia Tech Tree Identification contains fact sheets for 969 woody plants from North America, including a detailed description, a range map, and thousands of images. The app can use a smartphone’s GPS signal or users can enter and address of zip code and the app will tell them what trees will survive in that location. The app can also identify a plant by asking the users a series of simple questions. PRO Landscape Contractor (free; ios / android): PRO Landscape Contractor is made for landscape professionals. It allows users to select and create visual designs for a house or building by dragging and dropping more than 11,000 stock images of plants and hard-scape elements onto uploaded pictures. Users can search the image library for plants by common or botanical name and clone existing landscape elements into the new design. Check out part two: smartphone apps for landscape architects: useful tools for construction and presentation. 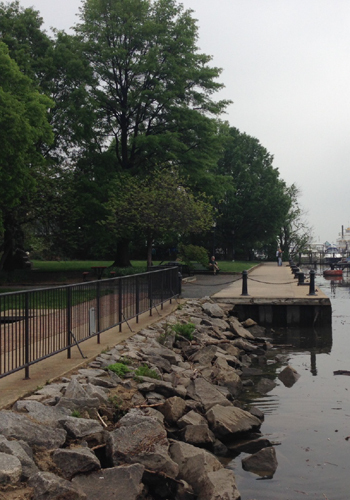 A new master plan for Old Town, the historic center of Alexandria, Virginia, just a few miles from Washington, D.C. which has been in the works for more than five years, is now well underway, as the city opens bidding on the plan’s flood mitigation improvements. 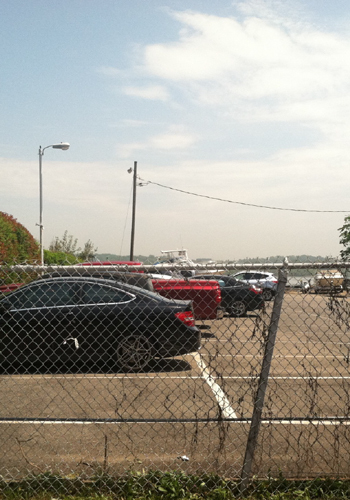 The plan will transform one of the last “undeveloped” major urban waterfronts in the D.C. area. The $120 million project, designed by landscape architecture firm OLIN, will add 5.5 acres of public open space; develop a new signature plaza at the foot of King Street, the main thoroughfare through Old town; expand the marina; create walkable connections for the length of the waterfront; and incorporate flood mitigation measures. Three new mixed-use developments have also been proposed along the waterfront, including a plan to transform Robinson Terminal North. 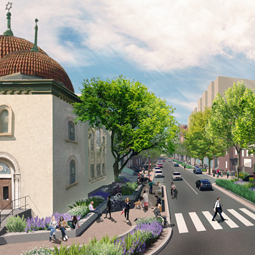 These plans come for approval by the local planning commission and city council in September. Phase one of the project, which will not be completed until at least 2026, will focus on core utility, roadway, and other infrastructure construction required to support the subsequent street-level improvements, followed by attention to the flood mitigation elements, one of the more controversial elements of the project, according to The Alexandria Times. At a recent talk at the National Building Museum, “Alexandria’s New Front Door: Implementing the Waterfront Plan,” it became clear that the discussion on flood mitigation illuminates the key challenge in re-envisioning Alexandria’s waterfront: how to maintain the character of one of the U.S.’s most historic cities while protecting this architectural treasure-chest from the threat of increased flooding. Old Town Alexandria was hit hard during Hurricane Isabel in 2003. According to The Washington Post, flooding from the Potomac River swamped the historic Torpedo Factory and many areas around King Street. 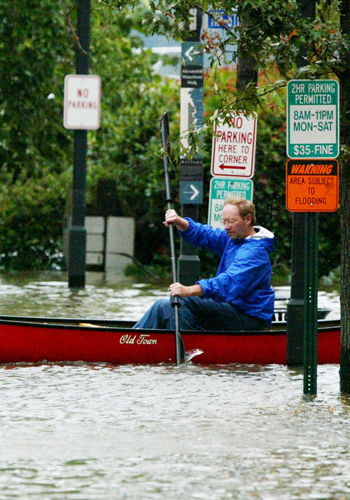 Along Alexandria’s waterfront, streets were navigated by canoe and kayak, as water levels reached nearly 9 feet above sea level. More recent storms, such as Hurricane Irene in 2011, were also devastating. 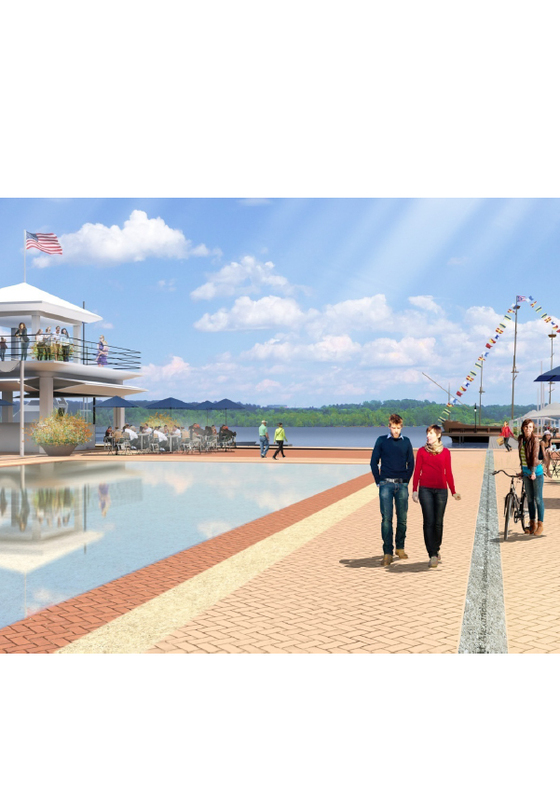 Long-term, Alexandria’s Potomac waterfront will experience sea level rises of more than 2.3 to 5.2 feet by 2100 — according to the Waterfront Small Area Plan — and certain areas of the city now flood at least once a month, so OLIN made flood mitigation a high priority in the master plan. Based on a 2010 flood mitigation study commissioned by the Alexandria city government, OLIN proposed a comprehensive plan that balances mitigation, cost, and maintaining views. 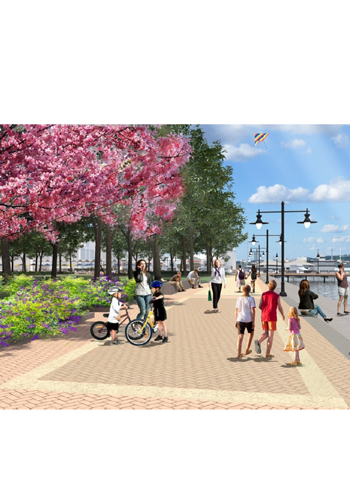 The waterfront plan will protect against nuisance flooding at 6 feet higher than sea level through drainage improvements, a combined sea wall and pedestrian walkway, and the use of green infrastructure techniques such as swales and rain gardens. Not only will this protect Old Town against the majority of flooding, this level of protection was found to be the most cost-effective and least visually intrusive for the majority of flooding events, according to a 107-slide presentation by OLIN. Other elements of the waterfront project, which were decided based on extensive community input, strike a balance between preserving character and improving function quite well. According to the small area plan, “throughout the planning process, Alexandrians asked for more ‘things to do’ on the waterfront.” Once a working waterfront bustling with commercial activity, Old Town’s current attractions are now primarily located in-land. The new plan aims to bring a high level of activity back to the waterfront in a new form. A public boardwalk along the water’s edge will improve access to the river, while new public spaces, including a large public park called Fitzgerald Square, will bring people to parts of Old Town that were formerly industry-dominated. Old buildings will be memorialized, views to the river from King Street will be opened up, and three derelict sites will get new mixed-use development. According to Robert M. Kerns, development division chief for Alexandria, who spoke on the National Building Museum panel, the crowning achievement of the project has been its ability “to balance new development with the city’s historic patterns.” Preserving historic character was not only a consideration for the flood mitigation strategies, but also for the city’s new promenades and public spaces. For example, the proposed Prince Street promenade, which will end at riverfront, will have a series of formal gardens that complement the scale of the surrounding structures. “Ensuring an historic scale was important to city identity, as was following the pattern of existing buildings,” Kerns said about the proposed promenade. But do the character-conscious flood mitigation strategies go far enough to protect Old Town from the next super storm? 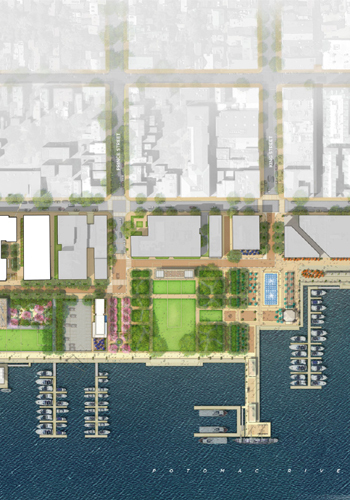 While Alexandria is unique due to historic character, the careful approach to flood mitigation provides a contrast to cities like New York City and Boston, which have recently held design competitions that have yielded ambitious waterfront resiliency plans in the wake of Hurricane Sandy. The projects that have come out of Living with Water in Boston and Rebuild by Design in NYC will be designed to withstand catastrophic storm events, far more than a 6 foot nuisance flood. While New York and Boston are bigger cities, and arguably at greater risk from sea level rise than Old Town, the effort in Old Town raises questions about the depth of resilience being planned and designed. After years of debate over the Old Town waterfront, there is now some consensus on how to upgrade this historic place with new parks, better access to the waterfront, and improved flood mitigation. However, the project, which will be in the works for the next decade, ultimately proves just how much “new” residents of one of the country’s oldest cities are willing to accept. 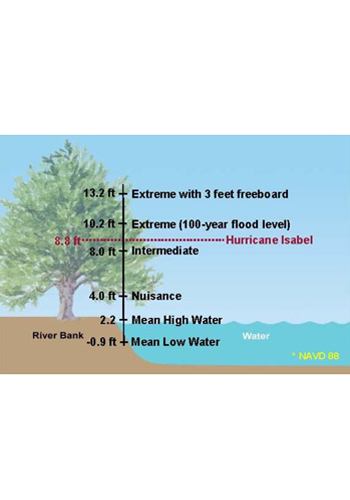 Continued flooding may be the price.